Renovated in 2014, Hotel Aquamarine guarantees guests a pleasant stay whether in Sozopol for business or pleasure. The property is just away from the city center, and it normally takes about 60 minutes to reach the airport. With its convenient location, the property offers easy access to the city's must-see destinations. 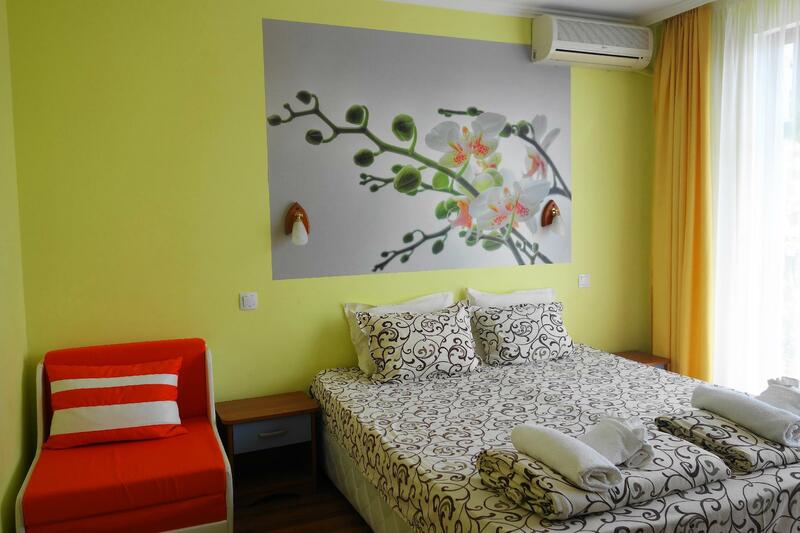 Hotel Aquamarine offers many facilities to enrich your stay in Sozopol. Facilities like free Wi-Fi in all rooms, daily housekeeping, gift/souvenir shop, airport transfer, laundry service are readily available for the convenience of each guest. 12 rooms spread over 4 floors provide a warm and pleasant home away from home. Comforts such as flat screen television, linens, mirror, towels, wooden/parqueted flooring can be found in selected rooms. The property's massage are ideal places to relax and unwind after a busy day. With an ideal location and facilities to match, Hotel Aquamarine hits the spot in many ways.